Sometimes, you get unnecessary service SMS in your Grameenphone SIM. It can be some value added service which is found active in your SIM. And it is also charging money on every daily/weekly/monthly activation of this value added service. To get rid of this paid services, you need to follow below steps. 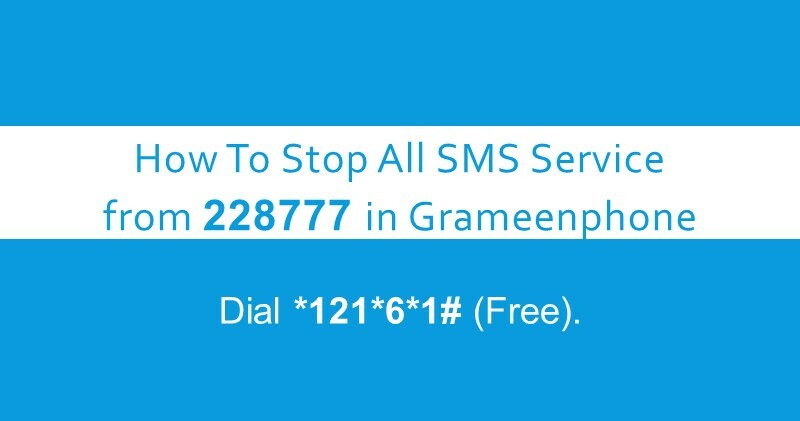 How to stop Messages from 228777 number in Grameenphone ? Those will be stopped within 72 hours (Maximum).